Scottish salmon raked in £500million in overseas sales for the first time in 2014 as it leapt to the top of the UK food export league. 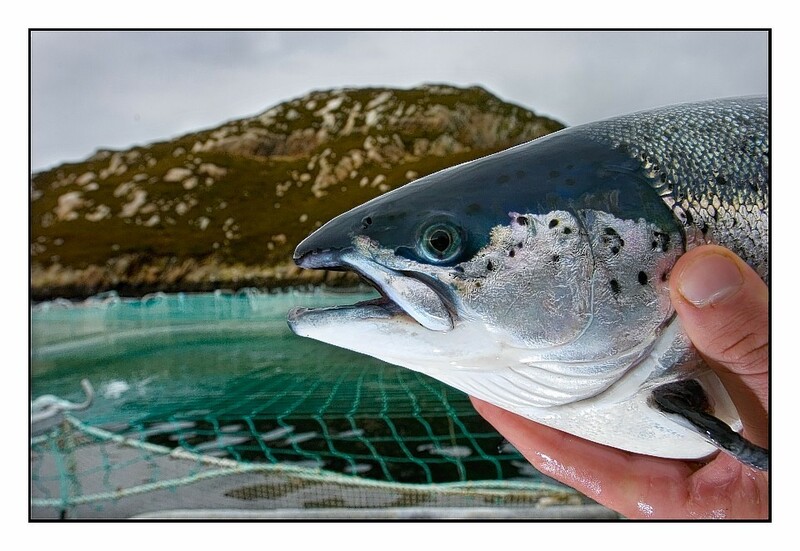 Figures released by industry body the Scottish Salmon Producers’ Organisation (SSPO) yesterday showed the total value of exports of the fish jumped by 11%, or £50million last year. Scottish salmon was once again this country’s No 1 food export and for the first time also became the UK’s biggest food export, SSPO said, confirming a top ranking for the fish revealed by the Food and Drink Federation in March. Production of Scottish salmon was in excess of 160,000 tonnes during 2014 and it was enjoyed in more than 65 counties, SSPO added. News of the record-breaking sales coincides with the start of Seafood Global Expo, the world’s largest seafood showcase, in Brussels. There is a large contingent of Scottish seafood firms in Belgium’s capital for the three-day event, which starts today. Food Secretary Richard Lochhead said: “Scotland is blessed with an outstanding natural larder, and these latest figures highlight the increasing global appetite for the premium and sustainable salmon and seafood produced in our pristine waters. “Seafood Global Expo is the ideal platform to showcase to international buyers the top-quality and award-winning salmon and seafood Scotland has to offer. According to SSPO, the US remained the top export destination for Scottish salmon last year after sales grew to nearly£215 million. In France, the second biggest market, a 55% jump in sales by volume saw the total value of annual exports rise to £110millon. China – an important emerging market – continued to return “amazing growth” from virtually nothing in 2011 to sales totalling £65million after a 4o% jump in volumes last year, SSPO said. Scotland Food and Drink chief executive James Withers added: “Scottish farmed salmon is a huge success story now and it is a great model for other food exports to follow. “The industry has embraced world-class production standards and developed a product that can surpass the competition anywhere. But he warned: “Growth can only continue if new development consents are approved. Seven Scottish salmon farming companies – Scottish Sea Farms, the Scottish Salmon Company, Marine Harvest Scotland, Cooke Aquaculture Scotland, Wester Ross Salmon, Loch Duart Salmon and Scottish Quality Salmon – are in Brussels for the big seafood expo.